Today, 26th April 2018, Hargeisa regional court has sentenced Boqor Osman aw Muhumed Mohamed to five years in prison. A judge at Hargeisa Regional Court heard a criminal case against Boqor Osman without the presence of his lawyer. The judge, Ahmed Dalmar Ismail, pronounced the judgment on the same day. Boqor Osman aw Muhumud (known as Buur madow) is a prominent traditional elder. Human Rights Centre representative was present at the court hearing today. Boqor Osman repeatedly asked the presiding judge that he wants to have a lawyer and time to prepare a defence. Today was the first day the charges were brought against him. The prosecution was heard and then the verdict was made by the court. Boqor Osman aw Muhumud was arrested on 19th April 2018, but he was released on 20th April on a bail. The elder was accused of “bringing the State into Contempt (article 219(2) of the Penal Code), and “circulation of false news (article 328),” according to the presiding judge. The judge also said he found Boqor Osman of “insult to a judge during a hearing (article 270)” because the elder said “the judge already has the judgment in his pocket,” according to the judge who spoke to the media. 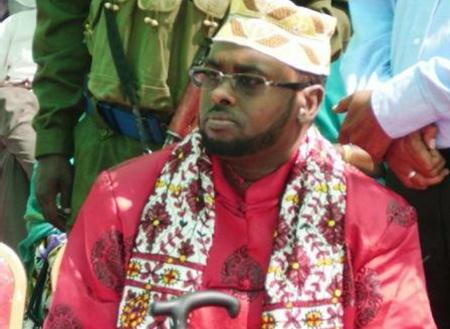 The charges are related to a traditional event held in Armo, a town located in Puntland region of Somalia, where the elder attended a crowing of another traditional leader. There he made a statement which “weakens the existence of the sovereignty of Somaliland and denouncing the national army who are performing their constitutional duties,” the judge said. Additionally, he was not given time to defend himself. The whole trial happened while the defendant did not have a role. He was silent watching while the prosecution was heard and the decision was made. He asked to exercise his right to legal representation. The right to fair trial is guaranteed by the United Nations Universal Declaration on Human Rights (“UDHR”) and the International Covenant on Civil and Political Rights (“ICCPR”). Human Rights Centre is very concerned about this development. Naema Ahmed Ibrahim, a poet, was also sentenced to three years in prison over charges related to statements she allegedly made in Mogadishu. According to the charge sheet, these statements are “insult and defamation against the state.” The court said it “found her of Bringing the State into Contempt. Maanta, 26th April 2018, Maxkamadda Gobolka Hargeysa oo uu gudoominayo garsoore Axmed Dalmar Ismaaciil waxaay shan sanadood oo xadhig ah ku xukuntay Boqor Cismaan aw Muxumued Buur madow oo ah hogaamiye dhaqameed caan ah. Dacwadda isla maanta ayaa dhegaysiga iyo xukunkuba dhaceen, iyada oo aanu joogin qareen u dooday Boqorka islamarkaana aanu is difaacin. Boqorku dhawr jeer ayuu codsaday inuu u baahan yahay qareen iyo waqti uu ku diyaar garoobo. Maanta ayaa ugu horaysay dhegaysiga eedaha loo soo jeediyay. Waxaay maxkamaddu dhegaysatay eedihii xeer-ilaalinta kadibna xukun ayay soo saartay. Boqorka waxa hore la xidhay 19 April waxa se lagu sii daayay damiin 20 ka April. Boqorka muu helin xuquuqdii aasaasiga ahayd ee uu siiyay dastuurka Somaliland iyo Xeerka Habka Ciqaabtu. Wuxuu xaq u lahaa inuu qareen yeesho iyo inuu helo fursad uu isku difaaco, sida ku cad qodobada 27 iyo 28 ee dastuurka. Dacwadda oo dhami waxay dhacday iyada oo aanu wax door ah ku lahayn Boqorka. Waxa la dhegaystay xeer-ilaalinta kadibna waxa xigay xukunkii. Wuxuu waydiistay boqorku inuu qareen yeesho, lama siin fursadaa. Xaqa ah in qofka la eedaynayaa uu helo dacwad xaq ah (fair trial) waxa sidoo kale damaanad qaaday Baaqa Caalamiga ah ee Xuquuqal Insaanka iyo Mucaahadada Caalamiga ah ee Xuquuqaha Madaniga ah iyo kuwa Siyaasig ah. Xarunta Xuquuqal Insaanku waxaay aad uga walaacsan tahay arinkan soo kordhay. 15 kii iyo 16 kii bishan waxa sidoo kale hadal ay yidhaahdeen ama baraha bulshada ku qoreen dartood loogu xukumay laba qof oo kala ah Maxamed Kayse Maxamuud oo lagu xukumay 18 bilood iyo Naciima Axmed Ibraahim oo lagu xukumay sadex sanadood.